Hand-painted by skilled artisans, Sabac by Quintessa is made bespoke to order. This exquisite artwork combines an abstract composition with impressionist brushstrokes. 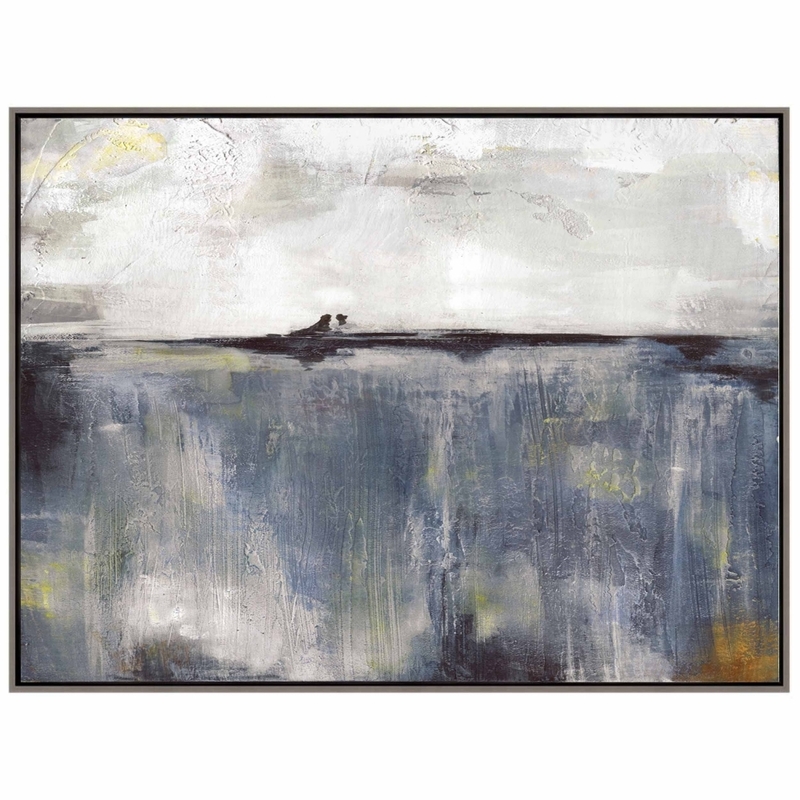 Deep hues of navy blue and ochre mingle with tones of grey and white shading. The playful proportions create a feast for the eyes with a watery landscape of depth and texture. Look closely and you might see a boat on a river, an underwater paradise, a hazy sun or simply a blend of serene colours. Sabac will bring visual interest and tranquil hues to any interior scheme. Mounted in a deluxe "L" shaped frame, make an enquiry for more information.